Improves Drying Times, Prevents Lint Build-up, Dust and Fire Hazard Potential. 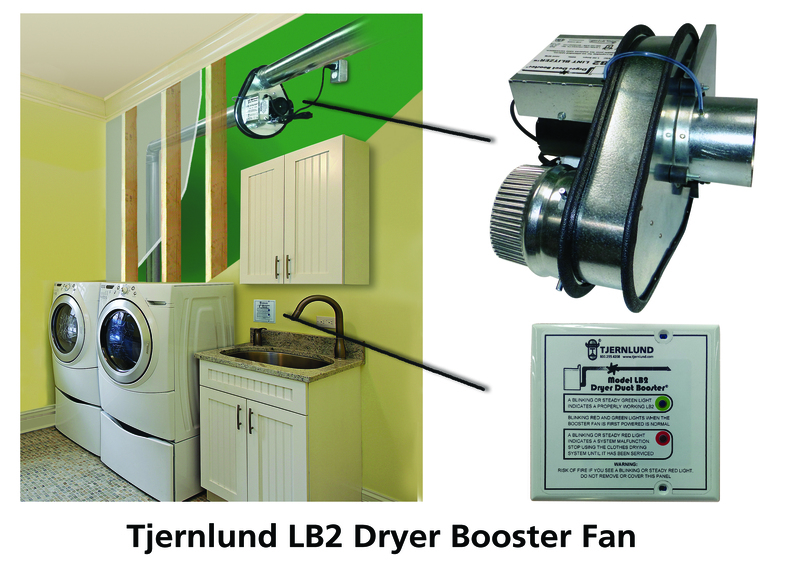 The level of safety and performance of residential clothes dryers has been raised thanks to the Model LB2 Dryer Duct Booster® available from Tjernlund Products, Inc. This unique booster fan offers a 5-year No-Clog guarantee, the potential of reducing clothes drying time up to 60 percent to save energy, while incorporating features allowing it to be Listed to the updated DEDPV, Dryer Exhaust Duct Power Ventilator supplement to UL#705. The latest IRC restricts use of dryer booster fans to those tested to the DEDPV supplement. The TjernlundModel LB2 is Listed for use on both gas and electric clothes dryers. Adding dryer booster fans in clothes dryer ducts has increased substantially with the placement of laundry rooms not adjacent to outside walls. Duct runs often exceed the maximum duct length that the dryer is rated for – typically 25 feet and two elbows. TheModel LB2 Dryer Duct Booster® is rated for duct lengths up to 150 feet! It can reduce drying times and energy consumption up to 60 percent. The Model LB2 Dryer Duct Booster® fan attaches easily to four-inch rigid duct and plugs into an electrical outlet. A display panel mounted near the dryer confirms system status and operation. It communicates via a factory-connected low voltage cable to an on- board booster fan control. The control monitors pressure and temperature within the duct to operate the booster fan in sync with the dryer and to stop booster fan operation if duct temperature exceeds 165˚F or signal if the duct becomes blocked. A rotating mounting bracket allows the Model LB2 to be installed vertically or horizontally. Rubber vibration mounts isolate the fan ensuring quiet operation. Beyond the DEDPV compliant control system, the heart of the Model LB2’s effectiveness is its exclusive No-Clog lint handling blower design to eliminate regular cleaning of lint from the housing and blower wheel. This feature assures consistent booster fan performance with minimum maintenance. 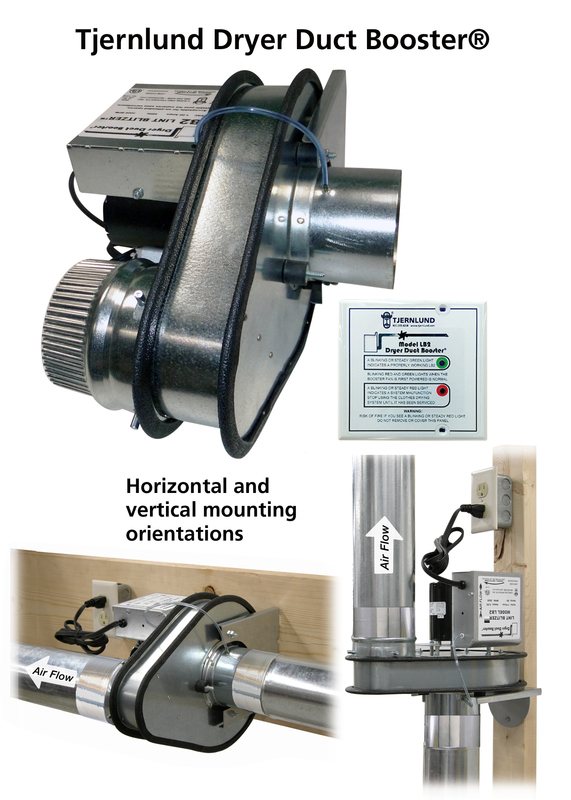 The Model LB2 Dryer Duct Booster® is available through industrial, HVAC distributors and online. For additional information contact us today! What’s the unit of measure for water vapor through a barrier?